An apology is most definitely in order! I have currently been in the process of moving house and starting a new job, and everything (including derby) had to take a backseat for a while! I've actually missed two weeks of derby, but this is the practice before everything happened! This was my first official week of Level 2. It was once sign-offs had been fully finished, everyone who could be signed off, was, and after Sur5al. It was all very exciting and we were told we were going to be doing a lot of pack work, but first was an introduction to dynamic stretching. Dynamic stretching is essentially stretching while moving around the track on your skates, and it's a lot easier than it looks! First were ankle stretches, which were fairly easy...I don't actually know what any of the stretches are called, so I think I'm going to save you the long amount of text that it would take me to describe them! There was lots of leg lifting, some weird hip rotation-y moves, some arm stretches (which are easy! Both feet on the ground! ), and one where we had to hold up our foot to our bum, which was pretty scary! I did get a little confused at times, and every time we brought our leg down for one rep, I thought we could put it properly down and give a little push to keep us moving, but you actually have to keep your foot off the ground - whoops! I wondered why everyone else seemed to be lagging! My right foot glides also failed me. Or, should I say, my weak right leg. I can do right foot glides, but my leg has a hard time holding my weight, and throw in some dynamic moves and I was toast. More one legged squats, me thinks. Next was pack work. We did a lot of this in Level 1, but more recently it didn't seem to get taught and was than taken out of Level 1 sign offs, so it really began with basic pack work - skating within close proximity of each other, getting used to touching people, recycling, keeping close together, communication, etc. We then moved on to more advanced pack work. Pack speed was one of the first things and it was actually quite fun. We would skate at 50% speed, and then our coach would call out either 100% or 10% and that would then involve us either speeding up as a pack or slowing down as a pack. This was quite interesting as you have to work as a whole, not at your own speed, so you have to adjust and work with everyone. Next was pack avoidance. This was great fun! 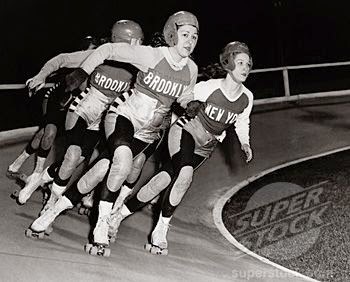 We would skate along in a pack, communicating, recycling, and then suddenly someone would appear on the track and we would have to avoid them and reform the pack as quick as possible. It was a lot to focus on but we were doing it like pros! You know those schools of fish that move in those huge groups? Well that was us. Or, in my mind anyway... We then had a go at falling in a pack. We were given a number and then when our coach called out our number, we would have to do a knee fall. The other skaters would then have to skate around and try not to trip over us. That also went really well. I actually kind of wanted to catch someone out, but we were all amazing. That meant that pack avoidance and pack falling were then thrown in together! So not only did we have to avoid people in our pack, but also people on the track! It was really fun though (have I said fun too much in this post?!) and I love skating with people. 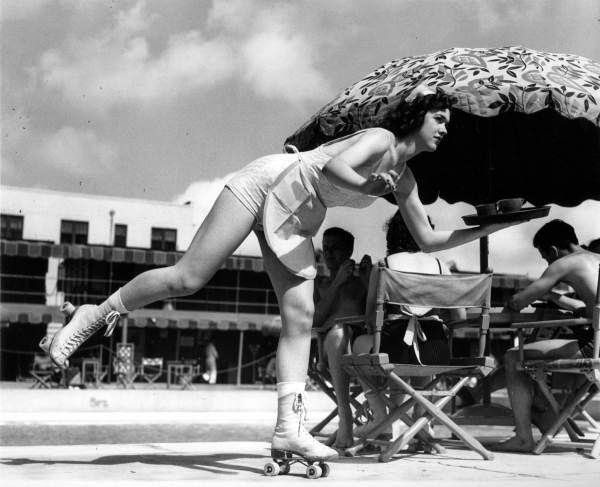 It gives you a real sense of camaraderie and reminds you what roller derby is all about.